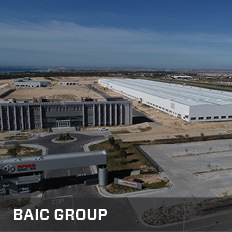 Most notable achievements thus far include the location of BAIC Group’s passenger vehicle assembling facility and FAW’s heavy vehicle assembly plant in the Coega SEZ. FAW became operational in July 2014 when the facility was officially opened by Honourable President Jacob Zuma. 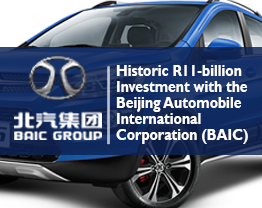 The BAIC Group’s facility will start production in December 2018 at the conclusion of the construction phase started in January 2017. Coega also continues to locate new investors or facilitating increasing the capacity of automotive component suppliers in the Nelson Mandela Bay Logistics Park (NMBLP). 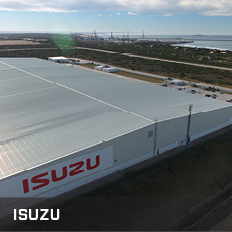 The CDC’s offering to automotive investors includes cost effective comprehensive manufacturing solutions in Zone 1 and 2 of the Coega SEZ and also in the Nelson Mandela Bay (Automotive) Logistics Park in Uitenhage. CDC’s objective is to support automotive investors, assemblers and component suppliers alike with a diverse range of services to allow companies to focus on the core business of manufacturing and distribution. • Logistical solutions providing easy access to the National Freeway connecting all major cities in the Eastern Cape and other SA provinces and other African markets. • Access to export markets via South Africa’s newest deep-water Port of Ngqura, the existing port of Port Elizabeth; and an international airport. • Linkages with government supported initiatives such as interfacing the Eastern Cape Automotive Industry Forum and the Eastern Cape Tooling Initiative and others supported by Provincial and national government. The CDC is involved in activities to continuously improve the competitive position of the SEZ and the NMBLP and is aiming at providing an extremely competitive manufacturing location for the automotive sector in South Africa. One of the expressed objectives is to further progress on the establishment of a Multi OEM Complex in Zone 2, a Customs Controlled area offering a duty and VAT suspended environment. • First, second and third tier automotive component suppliers in the NMBLP and Zone 2.
agricultural vehicles in Zone 2. • Shared services to Zone 2 to accommodate particularly OEMs with small production runs. The shared facilities are inclusive of an E-Coating facility and paint shop. • A purpose built, fully effective tooling manufacturing and servicing cluster. industries. This is inclusive of a Vehicle Preparation and Distribution Centre (VPC/VDC). The CDC is in process of establishing a Multi-OEM complex for the automotive assembly and components manufacturing sectors in Zone 2. FAW and BAIC Group are currently anchoring this initiative which is in line with CDC’s strategic plan embracing an OEM industrial clustering approach. It is envisaged that the Multi-OEM complex will house vehicle assembly halls and shared service infrastructures. 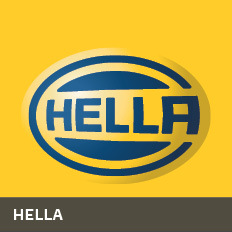 First, second, and third tier automotive component suppliers will all be brought together in one mega-automotive zone. The envisaged Coega Multi-OEM complex will have shared facilities that will include a supplier park, an e-coating plant, a paint shop and a Vehicle Distribution Centre, amongst other amenities. The multi-OEM cluster will also offer investors advantages such as lower infrastructure investment costs, increased production flexibility for contract manufacturing opportunities through shared services, and enhanced supply chain management. Another benefit envisaged is the reduction of inventory holding costs. Assembly halls under the vehicle manufacturer’s own brand name will be supported by a network of shared services and facilities that will reduce assembly costs.